Rent villas and apartments in Amalfi, Italy with private pools. Book affordable holiday rentals that are near a beach and golf course. This 1 bedroom apartment is located in Amalfi and sleeps 2 people. It has WiFi, parking nearby and a gym. The apartment is near a beach. Just the view itself from Villa Culla degli Angeli is worth a holiday. It is absolutely magnificent and priceless. 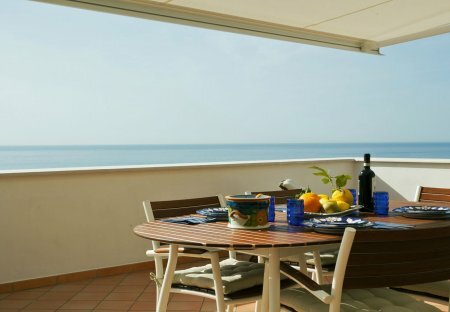 Apartment with separate entrance and situated on the coastal road entering Amalfi.